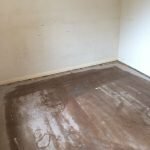 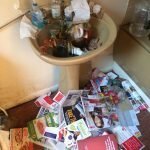 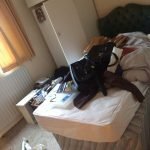 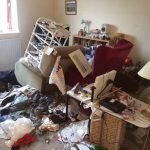 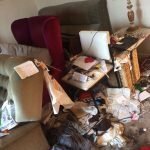 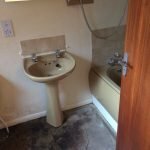 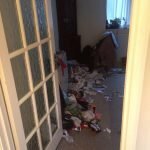 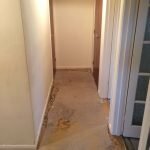 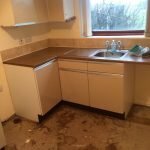 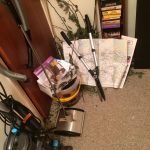 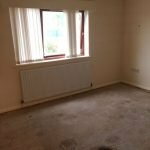 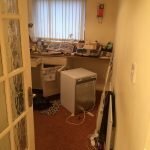 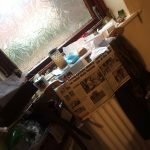 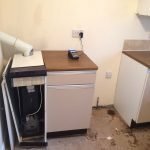 House Clearance Service In Inverkip – Inverclyde. 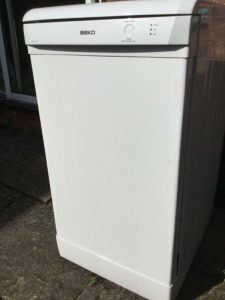 A white Beko compact under counter dishwasher. 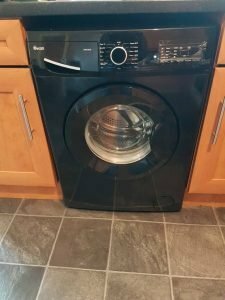 A black Swan 7kg under counter washing machine. 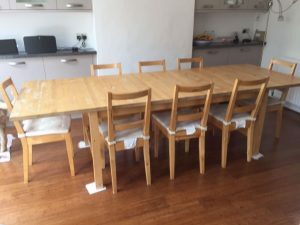 A large extendable solid oak dining table, together with eight matching low back dining chairs. 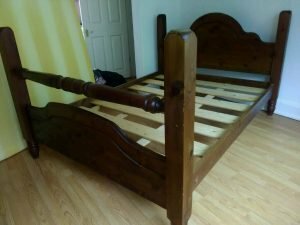 A vintage solid pine four poster double bed frame. 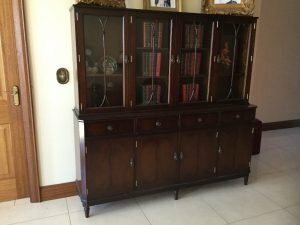 A tall standing two piece vintage mahogany display cabinet with brass mounts, having four glass inlaid doors opening to reveal four shelves, above four drawers and two single and one double cupboard. 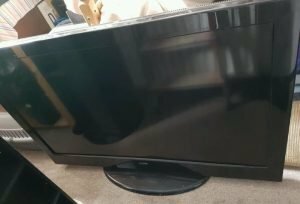 A black Luxor 46 inch full HD flat screen television. 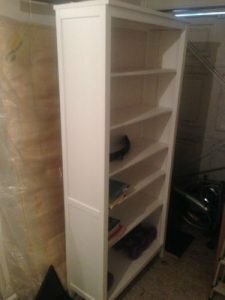 A tall standing painted white solid pine book case, having five removable shelves. 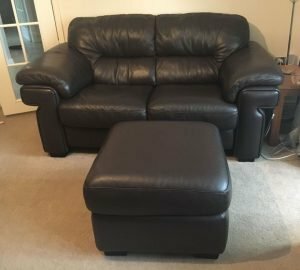 A two seater high back sofa and matching storage footstool, on solid wood feet, upholstered in black faux leather. 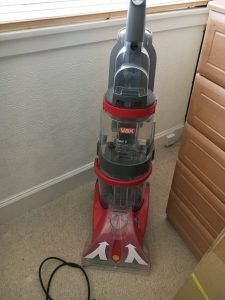 A grey and red Vax Dual V 2 in 1 upright vacuum cleaner and carpet cleaner. 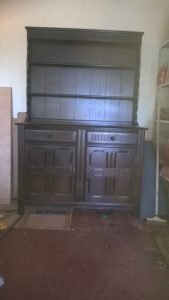 A black wood two piece vintage Welsh dresser, having two drawers above two cupboards. 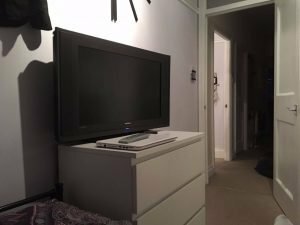 A black 32 inch Matsui MAT32LW507 flat screen television. 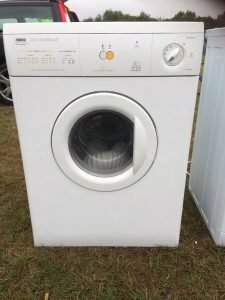 A white Zanussi Dual temperature 5kg under counter tumble dryer. 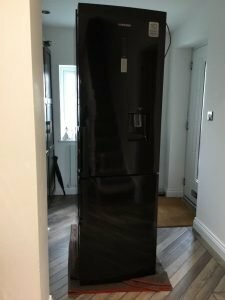 A tall standing black Samsung two door fridge freezer, with built in water and ice dispenser. 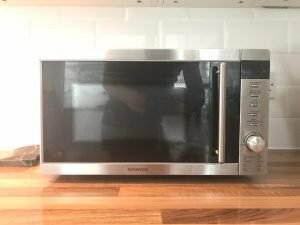 A stainless steel Kenwood 20L microwave oven. 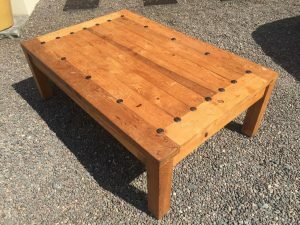 A large solid pine rectangular coffee table. 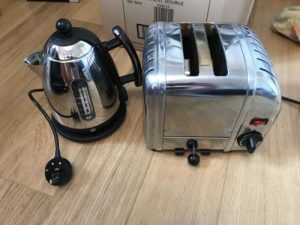 A black and stainless steel Dualit kettle, together with the matching two slice toaster.